The Huntington in San Marino, CA is one of California’s great estates. Established by businessman Henry Huntington in the early 1900s on what was originally a 600-acre ranch, the Huntington comprises a world-class library, art collections and 120 acres of gardens. Huntington initially agreed to let Hertrich experiment on ½ acre. Hertrich went full steam ahead, filling the small area with 300 cactus from Southern California nurseries. Initially, Huntington wasn’t very enthusiastic about the cactus garden. However, as more and more of his acquaintances visited the ranch to see the cactus collection (instead of his priceless art), he authorized Hertrich to go on what would become a series of collecting trips. In 1908, Hertrich hauled three carloads of cacti from Arizona, including a carload of saguaros. This was followed in 1912 by two carloads of cacti and other succulents from Mexico. Huntington gave Hertrich another 2½ acres to accommodate the new material. In 1913, many of the original specimens were lost in a freeze, especially those that weren’t compatible with San Marino’s Mediterranean climate in the first place. The plants that survived thrived, and the hillside garden became packed. In 1925, the Desert Garden doubled in size to five acres, and in 1981, long after Hertrich’s death in 1966, the final 5 acres were added. In 1985, the Desert Garden Conservatory opened to the public; it’s home to 3,000 succulents that either need some sort of protection or are simply too rare to leave outside. Today, the Desert Garden has sixty planting beds filled with more than 2,000 species of succulents and desert plants from both the Old and the New World. While impressive-sounding, these stats are fairly meaningless until you experience the garden in person. Then it’s easy to see why the Desert Garden is considered one of the world’s premier collection of succulents. The Desert Garden is roughly divided into the upper garden featuring plants from the Old World (Africa) and the lower garden with plants from the New World (Americas). I say “roughly” because there is the occasional overlap, for example aloes growing next to cacti and agaves in the lower garden. This post is about the Old World section of the Desert Garden. The Huntington has an exceptional collection of aloes that includes over 200 of the 300 recognized species. Huge swaths of them were in bloom on January 2 – a truly spectacular sight. To enjoy this post even more, click on each photo to see a larger version that offers much more detail. NOID aloe with very distinctive flowers. Suggestions, anybody? My next post will continue in the New World section of the Huntington Desert Garden. Hello, HooverBoo knows. Something very similar to it came up as Aloe petrophila on her website when I googled "red aloe huntington". I hope she will correct me if I am wrong. I have 'Gollum' and 'Hobbit' but they never ever have looked that good. I must figure out what is wrong and take better care of them! Yes! It could definitely be Aloe petrophila. Good detective work! Oh no, I had no idea there was a 'Hobbit' too!! I looked at photos, and I can't tell the difference even after reading San Marcos Growers' description. Some lovely photos of a spectacular garden, and I really appreciate your commentary on the garden's creation and history. This is without doubt one of the most stunning succulent gardens in the world. Your photos do it justice! David, thank you so much for your kind words. That makes me very happy. So many drool-worthy plants. I had to click and enlarge each picture and swoon over each one! Thanks for the history too. Very interesting to know that Huntington, now a name associated with the famous desert garden, didn't even like cacti! You had quite auspicious partners in crime. Someday, I must visit this awesome place in person but for now, your pictures make me very happy! I love reading about the garden history, especially about the pioneers like Hertrich. Where are they now?? There is so much wealth, surely somebody must be investing liberally in creating a superstar garden!? *SIGH* it's always a good day to drool over pictures of the Huntington, that is if you can't visit in person. That Aloe erinacea gets me every time. WANT! 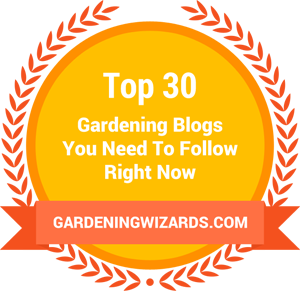 I still cling to the hope that someday there might be a Garden Bloggers Flinger in that area :-). If you want a poor person's Aloe erinacea, look for Aloe melanacantha. Almost as pretty. 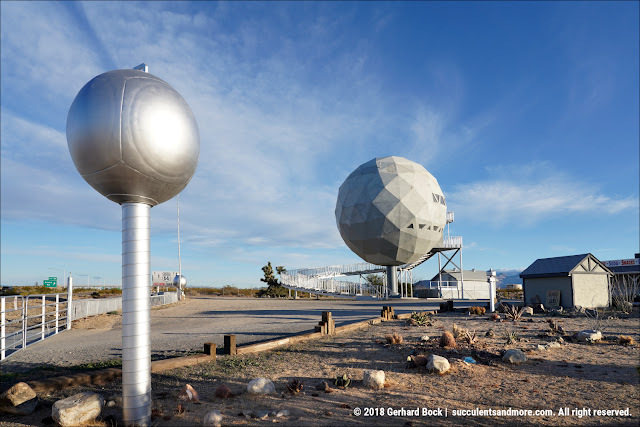 Another extraordinary set of photos, Gerhard! A few looked almost like paintings, most notably the 8th one from the bottom of the Aloidendrons under that "mackerel sky." Like Loree, I'm fascinated by the Aloe erinacea. Thank you, Kris! It's easy to be inspired in such an inspirational place. I'm still bummed you weren't able to join us. Maybe next time! I hope so, Gerhard! FYI, Annie's has the Bouteloua gracilis 'Blonde Ambition' available by mail order. That's where I got mine as I haven't seen it offered locally either. I just checked and they show it still available. Most excellent photos. I hope you don't get tired of hearing that. Thank goodness for Hertrich. Wonderful post, Gerhard! I'm so grateful for visionaries like Hertrich! As I sit here in the snow touring the Huntington has been a real pleasure. Your photos are superb! Your identification of the different species is terrific. Thank you so much! I try hard to identify as many plants as possible, for my readers and for myself. That way I don't have to store all the info in my head :-).